I’m still enjoying this blanket, but it’s pretty heavy on my lap (not a problem on snow days, of course) and I’m looking forward to being done with it at this point (I seem to always get to this point with projects). I do think I’ll love the finished product, though. What are you working on today (crafty or otherwise)? See other WIPs at Work In Progress Wednesday. 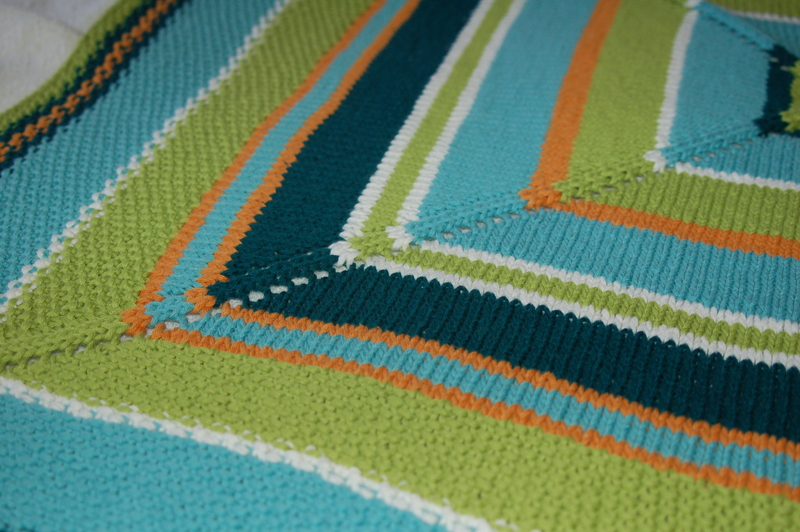 Apparently I started knitting this blanket in May. 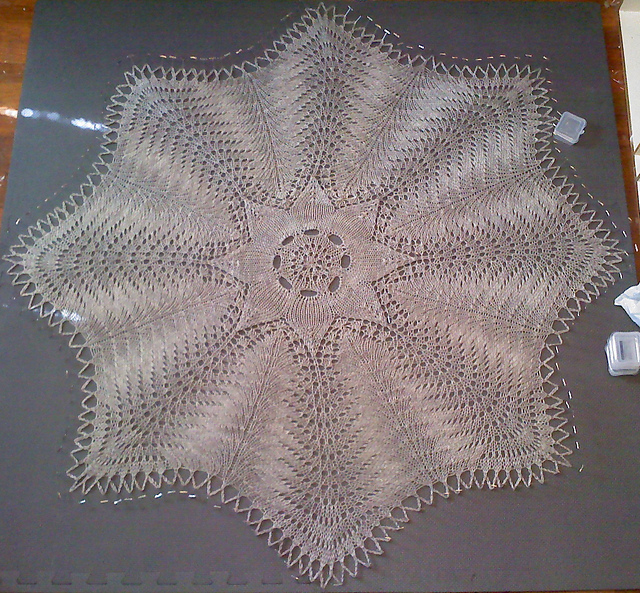 It’s still a very long way from completed; I think it will be one of those projects I work a few rows here and there on, between other knits. 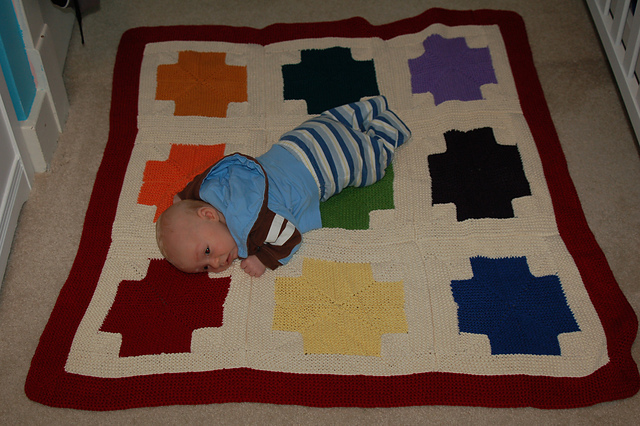 I was inspired by this 64 Crayons pattern, which I originally found at the designer’s [Amy Swenson, aka Indigirl] blog. But of course I took it my own direction. 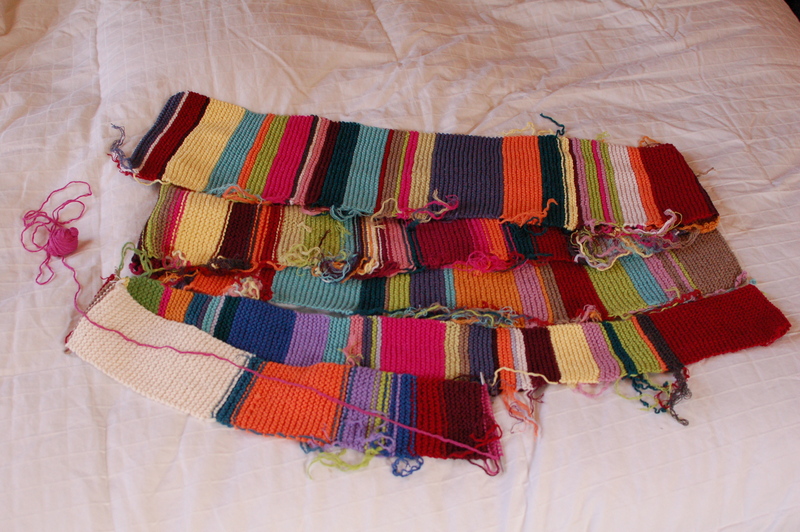 That’s one strip completed, about 6 feet long. The second, narrower, strip, is still in progress. 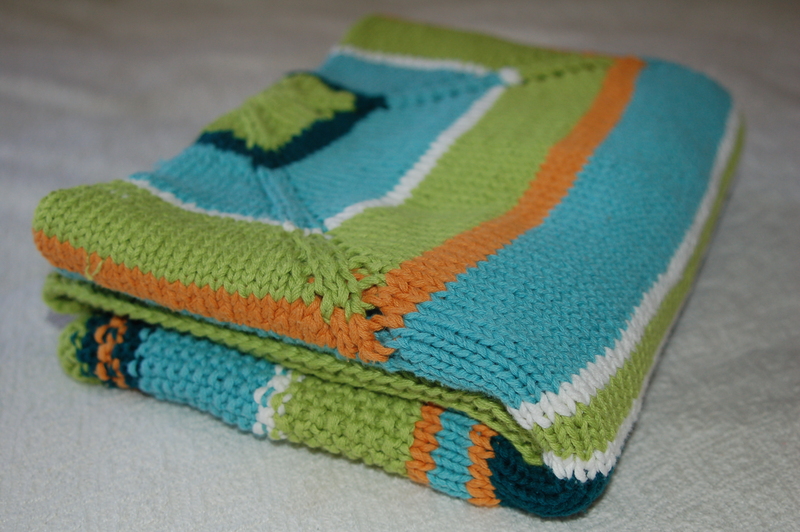 I’m using recycled sweater cotton, in as many colors as I can find! And oh yes, I am definitely dreading all those ends to weave in. I envision this as a blanket that’s cosy to curl up under, that can be draped over the couch, that will hopefully be used to make tents indoors in a few years. (Hey, it’ll take that long before it’s finished at this rate, anyway!) And then when it’s seen such love, I can throw it in the washing machine, and even dryer, if need be. Am I alone in my love for ALL THE COLORS? First of all, knitting is one of those things that many people find it easier to learn hands-on. Even for me, who has eagerly learned from books for so much of my life. When it comes to learning something I’ll be doing with my hands, it’s really nicest to learn hands-on, person to person. If you don’t have a friend who knits who can show you, or even if you do, a local yarn shop (LYS) can be useful. 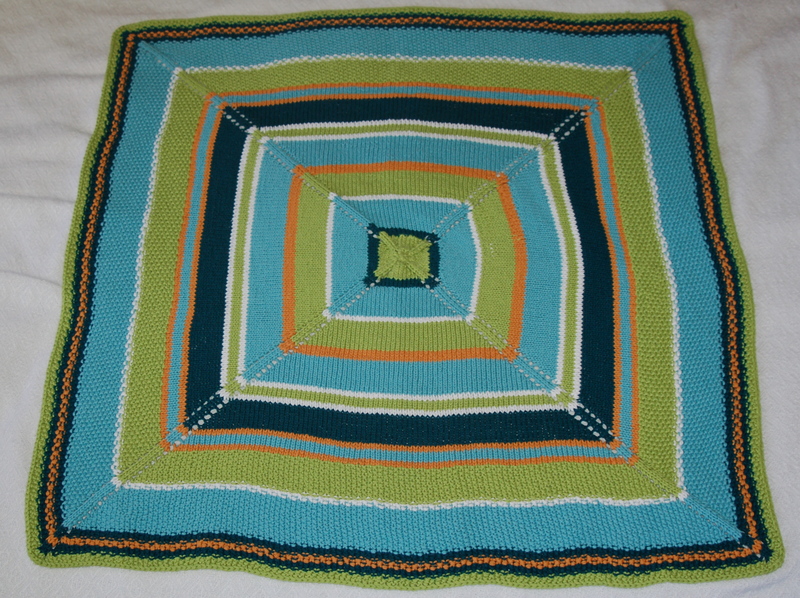 They often have classes, specifically for beginning knitters, to help you get started. These classes are often three or more hours, and from everything I’ve heard, they’re generally worth the expense. Also, for what it’s worth, when I said “local yarn shop” I didn’t mean Michael’s or Joann’s. Those definitely have their place, but in my experience, you’re more likely to get good help from a smaller local place (non-chain) that specializes in yarn/fiber/textiles. Speaking of local yarn shops, how local “local” is can really vary. I have two yarn shops about 45 minutes away, and I sometimes go to them, but my favorite yarn shop — that I consider local to me — is two hours from home. If you have a local yarn shop or a knitting friend, you’re pretty much set. They’ll be there to help you get started (and pick out yarn and needles) and later when you get stuck, or when you forgot something. If you don’t, though, or if you want a little extra reassurance, places that have been helpful to me: KnittingHelp.com, YouTube, and — of course — Ravelry. When I’m first learning a new stitch or technique (or need a refresher), the first place I go is KnittingHelp. They have quality videos of tons of knitting skills, plus comparison photos of increases and decreases, etc. The videos are short, and sometimes I watch the one I’m studying over and over, pausing as I complete that step, then viewing and copying, pausing, etc. And it’s often helpful, on YouTube, to watch several videos that come up in a search, since quality differs, as can explanations. Obviously, some videos/teachers are better than others. Ravelry has tons and tons of patterns (easily searchable), plus so much more. It’s actually so awesome and useful that’s it’s hard to describe. There’s a database of yarn, with users’ ratings and comments. The patterns include users’ projects, and project notes and photos. YOU can keep track of your yarn, needles, patterns you own (or even keep a digital copy in your Ravelry library), projects you’ve made and notes about them. And there are forums. Sooo many forums. There’s a group for nearly everything you can think of, and if you get stuck, you’re likely to find help there when you need it. Annie Modesitt (@modeknit) is offering a free how-to-knit class on Udemy, a new online teaching platform. 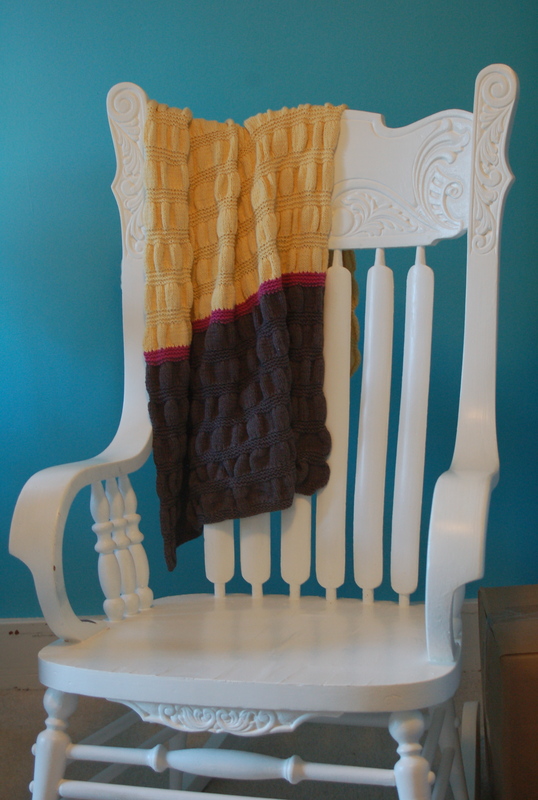 She will be teaching Combination knitting and traditional western knitting. In general, start with basic, smooth yarn (not the trendy ruffle yarn or anything too fuzzy), in a medium weight, probably worsted. Hopefully in a color you like. Made of something somewhat stretchy, probably wool or acrylic. I’d also recommend needles in a medium size, anywhere from size 6 to size 8 (4-5 mm). A person is more likely to stick with learning a new craft/skill if the project is one she really wants to make, rather than just a “learning” project, so pick a pattern you really want to make! Something that really draws you in. 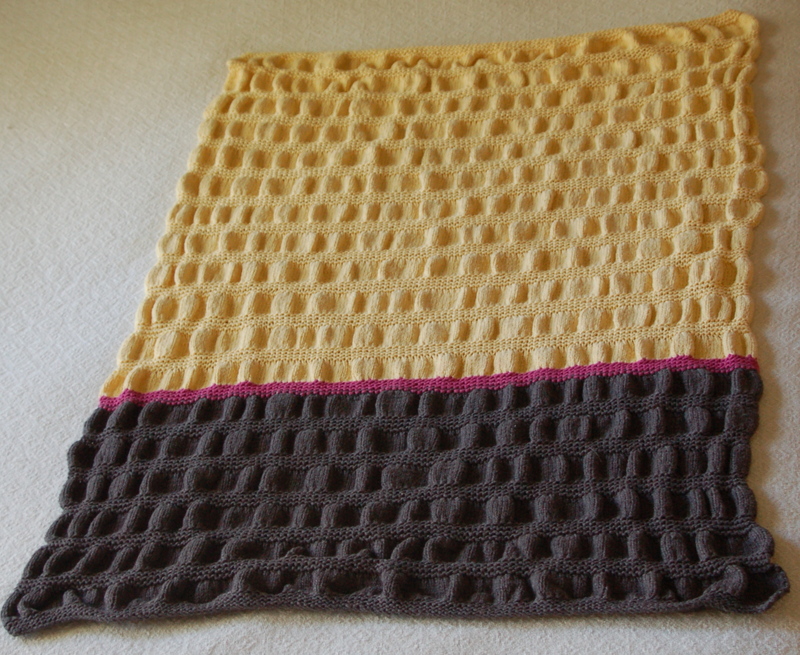 My first knitting project, I learned a year or so after I made it, was supposedly an intermediate level project, rather than a beginner project, because it used short rows. But since I didn’t know it was supposed to be hard, and because I really wanted to own the finished object, I made it, without too much difficulty. That’s it! Any more questions? I hope you feel empowered to start knitting today. I made these in July. They’re really basic, just a basic sock in 3×1 rib, continued all the way down the leg, over the top of the foot and through most of the toe. I didn’t use a pattern, I’m trying to discover vary aspects of the sock to find the best fit, and this was a step (heh) in that direction. While not exciting, they’re definitely easy to wear, since I practically live in jeans. I do love sock knitting. 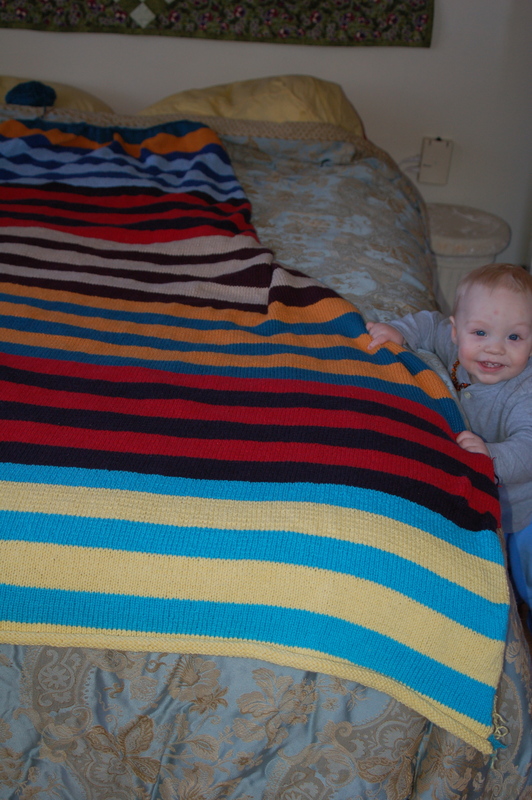 I checked a week or so ago and I’ve only knit two projects in 2012 that weren’t baby related. They weren’t all for my little one, but they were all for little people (or impendings). Here are just a couple. 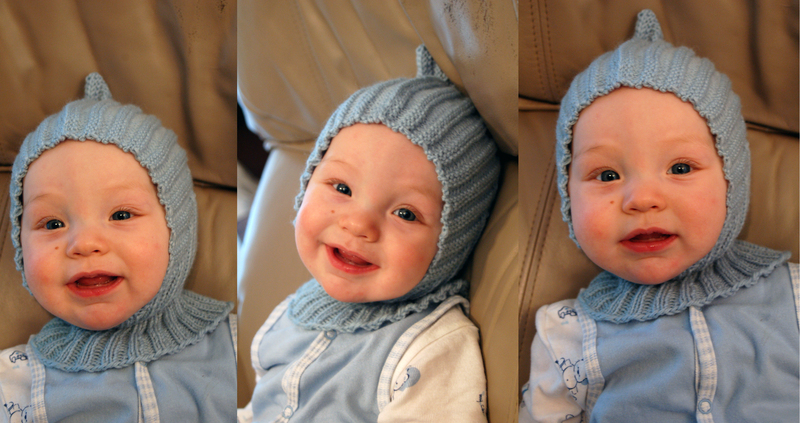 All the hats I’d made for him before he was born, he outgrew. They grow so fast! So, I knit him a couple more, since cold weather approaches (and has been here for a day or two, actually, but has since given us a reprieve). 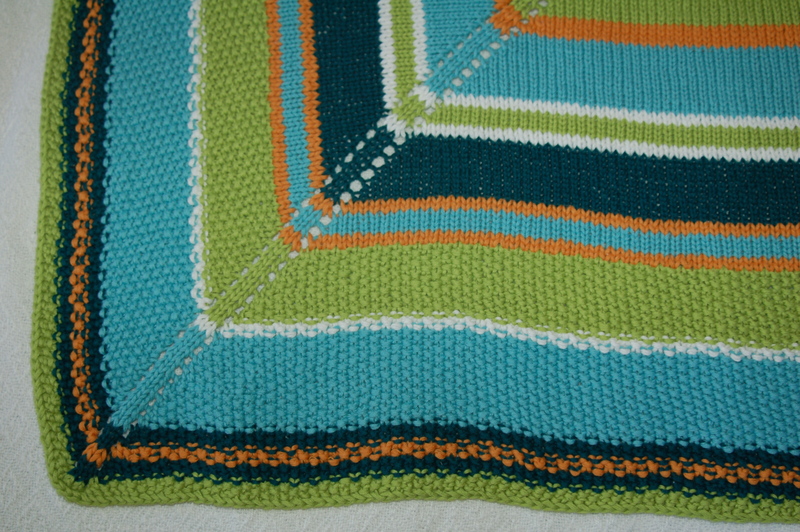 Here’s my project page on Ravelry. I used Brown Sheep Nature Spun Worsted yarn, in the color Bit of Blue. Nice things about this hat: it keeps his neck warm, and it won’t fall (or be too easily pulled) off. This one was super-fast to make, albeit a bit fiddly. 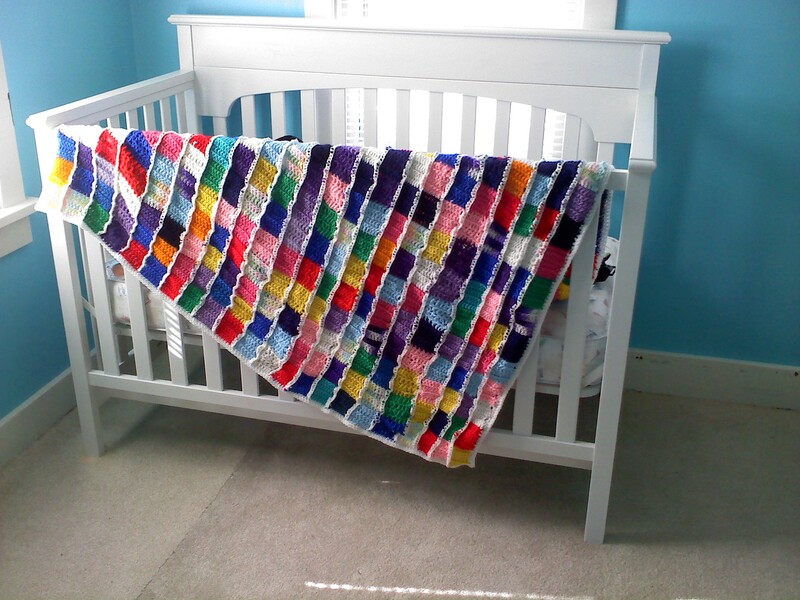 And the yarn was from the bottom of my stash, so it was nice to find a good use for it! It’s a tiny bit too big, but with the ties I’m thinking it will still stay on. And this yarn is soo thick and warm, too (the long-discontinued, I believe, Lion Brand Bolero (100% wool, thick and thin singles)). My project page is here, with more details. So, that’s it for today! 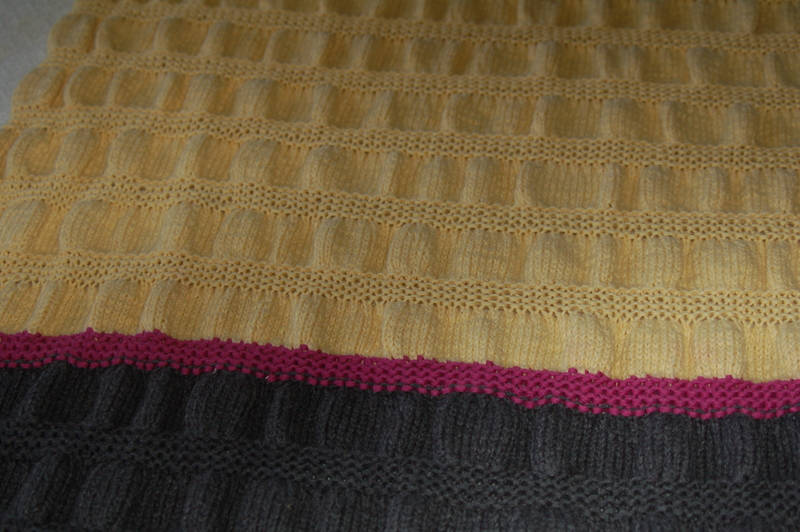 Plenty more knits to show (and even some other stuff to talk about soon). 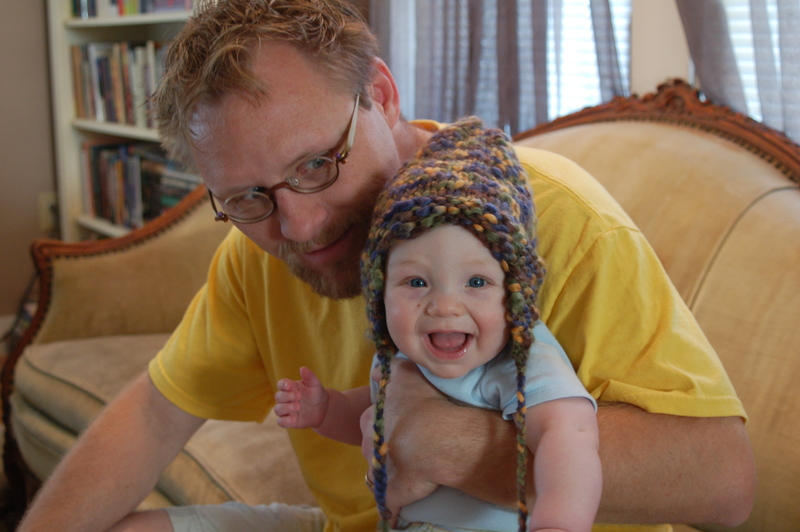 I tried to make a hat for myself from that second pattern (different colors), but it ended up too small or too short, or both, even though it should have worked. I haven’t figured out what I’m going to do about that, yet. I knit quite a bit in August, the bulk of it was one pattern — that I knit 5 times, by far the most I’ve ever knit a single pattern. This knitting spree was brought on by necessity. See, the little man (He’s 4 months old now, and growing ever so fast!) outgrew the diapering setup we’d been using. 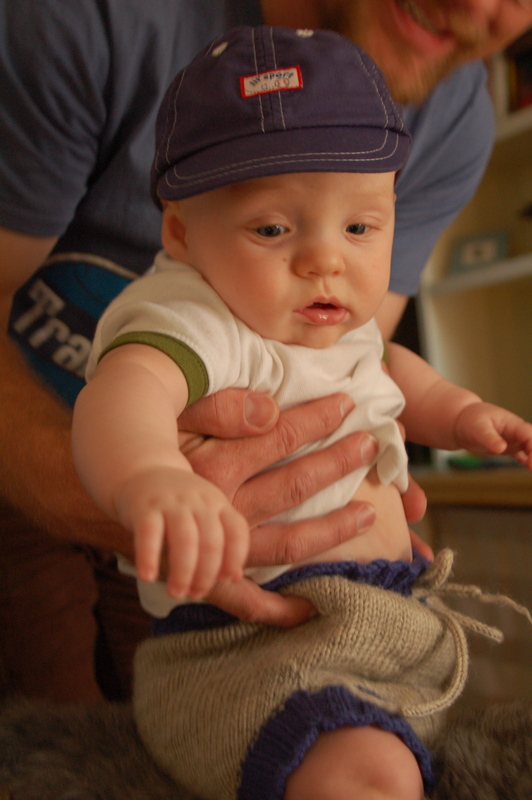 (Yes, we cloth diaper.) But that’s not really the focus of this brief narrative. 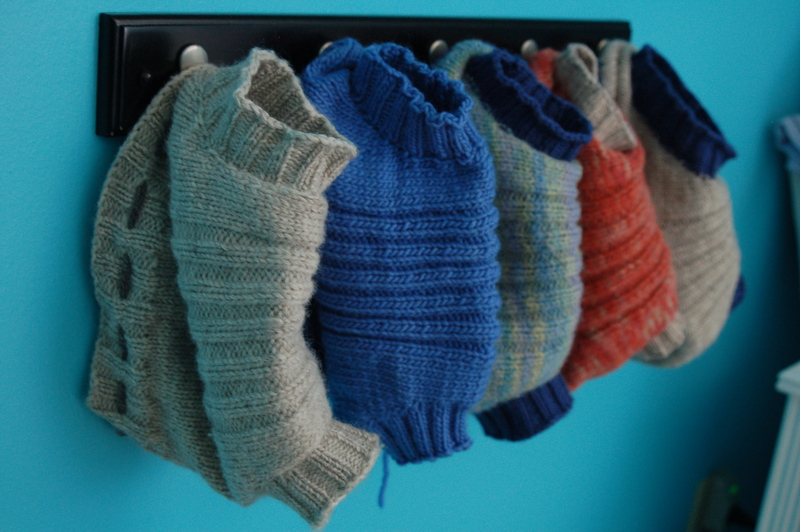 I knit five soakers. 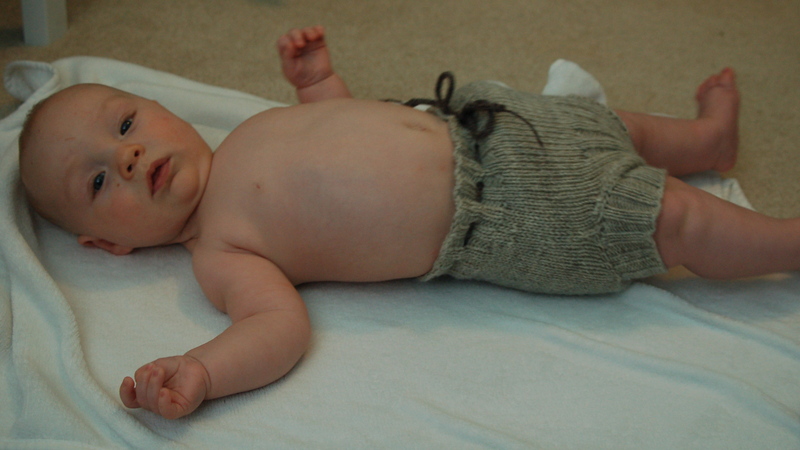 Well, technically, I knit six, but the first one was a different pattern, and it didn’t really turn out well. Soakers hanging in the nursery, ready to be used. The middle one is knit from my handspun, the fourth from the left is made from yarn I dyed. Here he is riding his trusty steed, Maisie, on his 4-month birthday.